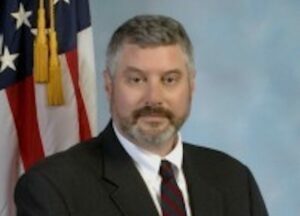 Robert Kandra is currently teaching at Mars Hill University, serves as a Senior Advisor to the Intelligence, Cyber and Security Consulting Firm, The Chertoff Group, serves as a Special Instructor with USN/NSW SEALs at Virginia Beach, Virginia, and is an active Member of the Council on Foreign Relations. From 1984 to 2012, Mr. Kandra had a distinguished career with the Central Intelligence Agency and the Federal Bureau of Investigation. He entered on-duty with the Central Intelligence Agency (CIA) in 1984; served there until appointment to the Senior Executive Leadership Team of the Federal Bureau of Investigation (FBI) as the Associate Executive Assistant Director of the National Security Branch. In this role, provided executive oversight, leadership and direction of all foreign and domestic FBI programs for Counterintelligence, Counter-Proliferation, Counterterrorism, and the FBI’s Directorate of Intelligence. Additionally served as the CIA and Special Intelligence advisor to the Director FBI, Robert S. Mueller and United States Attorney General, Eric Holder. Prior to this assignment, excelled as a career CIA National Clandestine Service Operations Officer and Senior CIA Executive; became an established specialist for Covert Action, Intelligence Collection, Clandestine Operations and Intelligence Analysis on the Near East and Southwest Asia, Transnational Counterterrorism, and Weapons of Mass Destruction/Proliferation. He is a specialist in the area of Cybersecurity and U.S. Domestic Terrorism. Eight of ten overseas assignments have been in field command positions as the CIA Chief of Station, primarily in conflict regions of Iraq, Syria, Bosnia, and South Asia; frequently in support of the Joint Special Operations Command and other U.S. Special Forces. Regions of prior assignment and particular specialty include the Mideast, Balkans, Central Europe, and South Asia, with extensive experience working with foreign governments and within unstable environments. Postings also included the Vienna, Austria, which included senior intelligence support to the U.S. Mission to the International Atomic Energy Agency. Maintains specialized expertise in the areas of Cybersecurity, Cyber-Intelligence, and CBRN threats. Served as the Chief of CIA’s elite Special Activities Division, as well as Chief of CIA’s Global Deployment Division; and is a specialist in paramilitary and unconventional operations in high-threat regions. Upon returning from the position of Chief for CIA’s Iraq Station, was appointed Chief of the CIA’s Clandestine Human Intelligence Collection Training Program, and was concurrently responsible for all National Clandestine Service High Threat Training programs. In this role, developed expertise in counter-threat assessment and mitigation, and insider-threat identification. In 2008, Mr. Kandra was appointed to the Editorial Board for CIA’s Studies in Intelligence; published a (still classified) article on CIA Station Leadership in Conflict Areas. Has twice served as a Distinguished Speaker at the Wye River Intelligence Fellows Seminar. Recognized as an expert on inter-agency cooperation within the Intelligence Community. Prior to retirement, drafted the Memorandum of Understanding governing most significant change in CIA’s relationship with Law Enforcement since 2001. Mr. Kandra has a J.D. degree from Drake University and a B.A. in history from the University of Maryland. He has been awarded the CIA Intelligence Star for Valor, 1990; CIA Donovan Medal, 2000; CIA Donovan Medal, 2007; CIA George Bush Medal for Counterterrorism, 1998; Balkans Service Medal, 2001; CIA Director’s Award, 2005; DIA Director’s Award, 2006; Office of the Director of National Intelligence, National Intelligence Achievement Medal, 2006; CIA Distinguished Career Intelligence Medal, 2012.